After waiting for a long time, you have finally planned for a vacation in Paris. You will never like anything to happen that will spoil your vacation to the world’s most romantic location. In this regard, you must start with the best time to visit Paris. When this question occurs in mind, you must know that Paris in the spring time is most beautiful.Paris during spring time is unparalleled in its beauty and splendor. Especially when you are visiting Paris for the first time, spring is the best time. However, if you are thinking about crowd, budget as well as the centers of interest, another time of the year may be suitable for you. If you are visiting Paris for the second or a third time, you will know that winter months in Paris are not suitable for exploring the city. This is not the only aspect of the winter season in Paris. Different types of festivals take place in Paris during the winter months and you can be a part of the celebrations if you visit during this time. The fall is also a good time with the Montmarte Wine Harvest to enjoy the vivacity of Paris. You will be able to view Paris in its full glory during spring time. However, you will be joined by several other tourists during this time. Everybody wants a piece of Paris during this time with the picturesque locales shown in Hollywood films. You will be mesmerized to see Paris during this time, but be ready to share.Paris feels like a dream during spring time with long stretches of land where you can laze around. It seems straight out of a painter’s canvas that will remind you of beautiful lines from your favorite romantic poetry. Paris during the spring time can make anybody’s heart leap with joy. Every frame is full of life and color. Be wary of the raised prices of tickets for trains as well as flights. 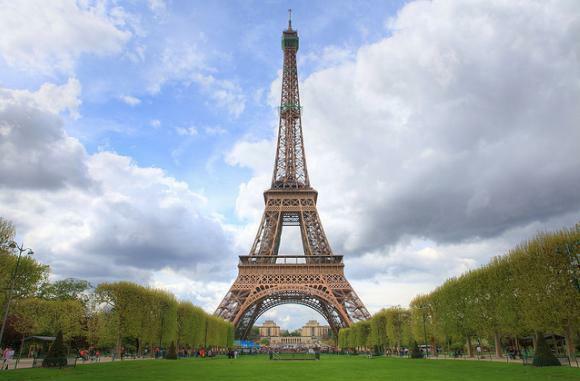 If you wish to enjoy Paris spring, then you have to reserve rooms in hotels well in advance. You might also face long queues in front of every popular Paris tourist attraction. Breathe in the fresh air and the beautiful fragrance of the freshly bloomed flowers. You will know why Paris is the most romantic location in the entire world since time immemorial when you visit the city during spring time. Spring in Paris is not only beautiful for its natural splendor, but also for the events that take place during the season. Both cultural and sports events take place during the spring time inParis. Tennis fans can witness the giants clash in French Open which takes place in Roland Garros during the month of May. If you miss out the spring, then summer can also be a good alternative. Prices are at their highest during summer when tourists from all over the world flock the various attractions in the city of romance. However, you can go through the travel websites to find out about special packages offered by them regarding flight tickets as well as hotels. Some of them even offer special packages for romantic dinners. This entry was posted in Best Time to Visit Paris and tagged Peak Tourist Months in Paris, Spring in Paris, vacation in Paris. Bookmark the permalink.